Loop-mediated isothermal amplification (LAMP) allows rapid amplification of nucleic acids under isothermal conditions. 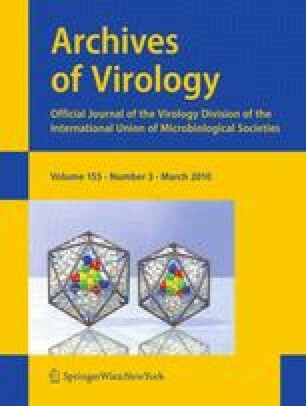 In this report, a 20-min LAMP amplification of the DPOL gene of infectious spleen and kidney necrosis virus (ISKNV) using a biotin-labeled primer was combined with lateral flow dipstick (LFD) chromatography for rapid and simple visual detection of ISKNV-specific amplicons. The LFD process involves a 5-min specific hybridization with an FITC-labeled DNA probe to confirm the presence of complement ISKNV amplicons that were biotinated in LAMP. The resulting DNA duplexes, consisting of labeled probes and amplicons, migrate along the LFD strip by chromatography for 5 min and are trapped at the test line and visualized by biotin labeling. The detection limit of ISKNV by LAMP-LFD was 10 copies. The results show that the LAMP-LFD method has the advantages of better sensitivity and speed and less dependence on equipment than the standard PCR for specifically detecting low levels of ISKNV DNA, and this can be useful in the field as a routine diagnostic tool. We thank Prof. Junjie Bai (Pearl River Fishery Research Institute, Chinese Academy of Fishery Science, Guangzhou city, China) for kindly providing ISKNV and Dr. Dengfeng Li (Ningbo University, Ningbo city, China) for kindly providing WSSV. Ms. Wenchao Ding was a student registered in Ningbo University for the degree of MSc. The project was supported by the Program of Science and Technology Department of Zhejiang Province (No. 2008C22049; No. 2008R40G2070059) and the Program for Changjiang Scholars and Innovative Research Team in University (IRT0734) and the KC Wong Magna Fund in Ningbo University.